Facebook presents an incredible opportunity for real estate agents. Whether you’re looking to build brand recognition in the community or simply produce straight lead gen, the social platform allows agents to do at a low or no cost! So, what are the basics you need to know to in order to leverage Facebook to market your business, create effective paid ads, or both? Juan Gabriel Molina is a veteran real estate agent and serial entrepreneur with an expertise in online lead generation. He is the founder of Agent Lead Boss, an automated marketing assistant that leverages the right combination of targeting and messaging to yield prospects that are looking to buy and sell real estate. Juan is also the cofounder of Real Closers, one of the fastest growing online communities for real estate professionals. 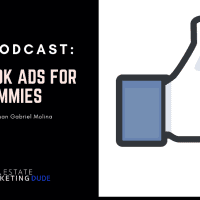 Today, Juan joins me to discuss the opportunities for real estate agents on Facebook in terms of branding as well as straight lead gen. He explains the value in researching your competitor’s active ads, targeting specific audiences on Facebook, and creating content with a strong call to action. Juan also covers the importance of follow-up systems (automated OR manual), describing how an agent might generate consistent lead flow for less than $300 a month. Listen in to understand the distinction between marketing and advertising—and learn how to leverage both to generate leads on Facebook! Email Juan at jg@realclosers.com and learn more about his offerings at agentleadboss.com.